Submited: 2018-03-31 19:46 April Fool's Day 2018 has been canceled because Easter falls on the exact same day. 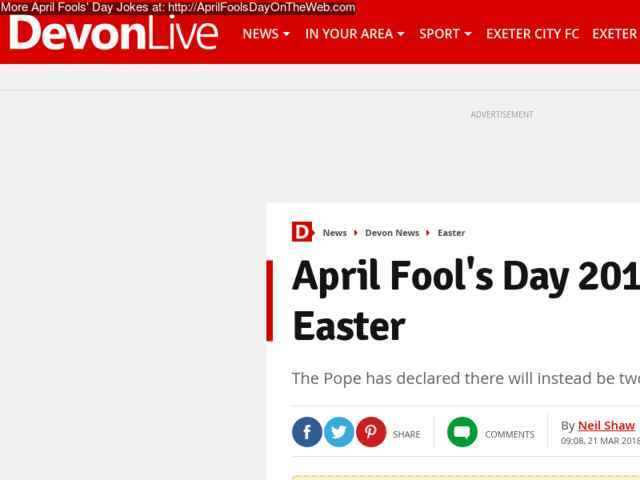 NOTE: It doesn't really matter that Easter falls on the same day, it gives no right to cancel April Fool's Day. And on top of that it's a joke anyway.